My recollection of Mr JM Rajaratnam dates back to the eighties. It was a time many of us arrived here in New Jersey on student visa. We lived in urban cramped apartments amidst the loss of leaving our parents, place of birth and homes families and friends. Hearing about us new arrivals Mr JM Rajaratnam conveyed his liking to meet all at his home. It was in fact for first time many of us dined in a proper home headed by a father and mother. The entire family welcomed us with wide open arms and of love. To date I can remember Mr Rajaratnam’s kindness, his soft spoken words and eyes directly gleaming in giving the comfort of long acquaintance in his first glance. The remarkable simplicity he showed then is the gracious hallmark that many will attest witnessing from him throughout his life of social endeavors he shouldered in service for the betterment of humanity, Tamils particularly. His mere presence will make that we, us Tamils orbit away from our lands of birth to which we all owe our gratitude and grace. 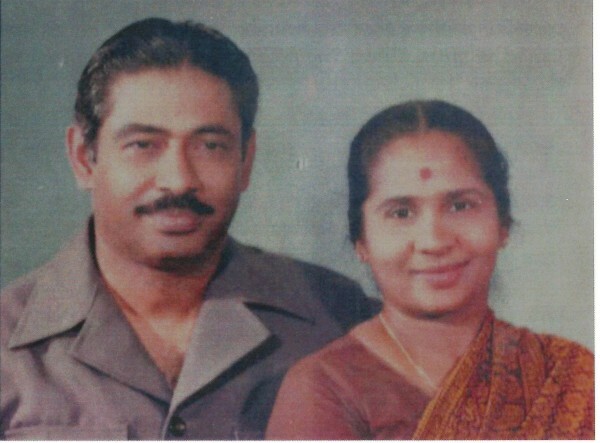 Mr Rajaratnam is the loving husband of Rajes, father of five, and grandfather of ten. He was born in Alvai, Sri Lanka and attended Hartley College before graduating with honors in Chemistry from the University of Ceylon. 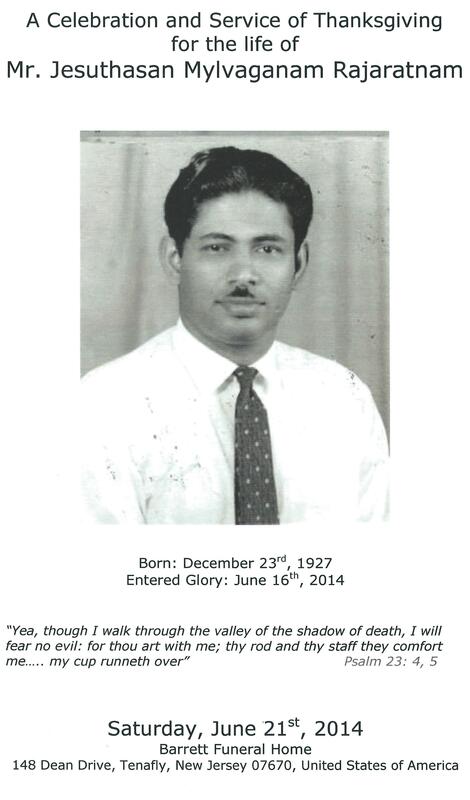 He proceeded to England on scholarship and was 5th in the world as a Chartered Accountant. He later became Chief Financial Controller of Browns Group and then General Chairman of Singer (Sri Lanka) before being promoted to head Singer’s Asia operation. For giving us all the spirited commitment, we mourn your departure in sadness while thanking you and celebrate your service.